These two inspirational women were cousins who worked together to form the first all-female design and decorating company in Britain and were tireless campaigners for women’s suffrage. Agnes (1835-1945) was born in Suffolk to a large and wealthy merchant family that encouraged the education of women. Two of her sisters were also pioneers and campaigners for women’s rights. Her sister Millicent went on to lead the National Union of Women’s Suffrage Societies and Elizabeth was the first woman in Britain to qualify as a doctor. Her cousin Rhoda (1841-1882) was the daughter of an impoverished Derbyshire vicar. Rhoda worked as a governess, the only occupation open to ‘genteel’ women, to help support her siblings. This was for a short time however, as Rhoda was desperate to become an architect but was unable to find an architectural practice willing to take on a ‘lady pupil’. Rhoda was determined and joined forces with Agnes, who was keen to escape domestic duties in Suffolk, and in 1971 together they were apprenticed first to Daniel Cottier and then into the practice of J. M. Brydon. They worked under Brydon for 18 months and then carried out a tour of the country to visit and sketch interiors and furniture. In 1875 they set up their own business ‘A & R Garett House Decorators’ from their home at 2 Gower Street, Bloomsbury. In their book Suggestions for House Decoration (1876) they explained they were keen to live amongst houses “which were built in the solid and unpretentious style so much in accordance with best characteristics of the English people”. The house is now owned by the University of London, and their frieze and ceiling of the first-floor back room are still in place – a design of sensitively painted portraits of poets around a pattern of flowers. Agnes specialised in the design of chimney pieces of panelling – perhaps the closest a ‘decorator’ could be to architect – and one of her designs survives in what was her sister Elizabeth’s New Hospital for Women installed in 1890. Only one example of their wallpapers was photographed and from this ‘Garrett Laburnum’ was recreated in the Elizabeth Garrett Anderson Gallery, a museum which incorporates some of the women’s hospital on the Euston Road. Some of their carpets and wallpapers are known to have been made by women, presumably part of an informal network of patronage between early women-only firms. Agnes was a director of the Ladies Resident Chambers Company when it was formed in 1888 which built safe and comfortable accommodation for working women in London on Chenies Street, near Tottenham Court Road. After Rhoda’s death Agnes continued their business and her widowed sister Millicent moved into their house – the reason for the blue plaque outside the building today. SPAB communications manager Kate Griffin recalls a memorable meeting with a very memorable woman. 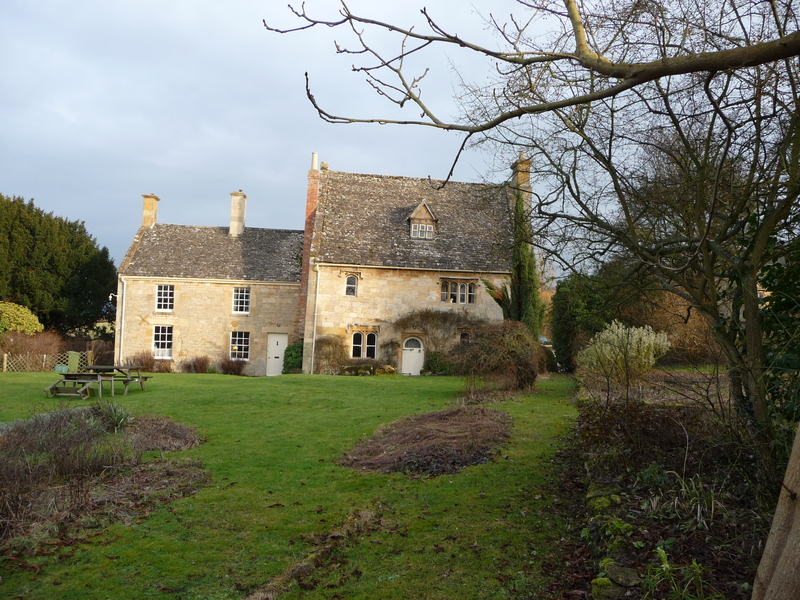 I met Sonia Rolt on an icy day in February 2010 when cold grey light threw the ancient features of her wonderful 14th century home, Stanley Pontlarge near Cheltenham, Gloucestershire into sharp relief against sheep-spotted fields and hills. Although into her 90s, she was still formidable, in the very best way, fizzing with purpose and excitement. During World War Two she was one of the women who took the place of working men on Britain’s canals and when we spoke she was one of the last survivors of this unique ‘crew’. The Inland Waterway (IW) women (or Idle Women as they were unflatteringly dubbed by the remaining old hands on the network) took on the back-breaking work of ensuring that essential cargoes of grain, oil, coal and even jam continued to be transported by water between major cities when the men who usually did this were conscripted. Sonia explained: “I fell into really. I was sharing a flat in London with two friends. It was in Beauchamp Place, Knightsbridge, which wasn’t at all smart in those days. If only people now could see what it was like they would be very surprised. Despite facing enormous disapproval from ‘higher ups’ at Perivale who were loathe to lose a talented worker, Sonia was eventually allowed to join her friends on a working boat. It was the beginning of a life-long affair. “I fell in love with the waterways,” said Sonia, who continued to live and work on narrowboats after the war ended. She freely admitted that the warmth of the working canal people and the strong sense of belonging appealed strongly to a young woman whose own colonial roots had led to a somewhat nomadic childhood. When we met in 2010, Sonia was still the revered Vice President of the IWA, the Waterways Trust, and other waterways bodies. In 1997 she published A Canal People: The Photographs of Robert Longden, an evocative reminder of a lost ways of life, reissued in paperback in 2009. Disappointingly, the house was initially refused a local authority grant, but almost miraculously, with SPAB’s intervention and guidance from SPAB Scholar David Nye, the Historic Buildings Council made a grant of £500, estimated to be half the cost of re-roofing the oldest section. “And from there a relationship began for us with some of those concerned with the real care of and attention to historic buildings,” Sonia told me. Sonia cemented the bonds with the SPAB, possibly through meeting something of a kindred spirit in Monica Dance, the legendary SPAB Secretary. Sonia recalled: “I was in London one day and wanted to check on our SPAB membership. I also had some questions about the house. I knocked on the door at Great Ormond Street and Monica immediately invited me in to her office.” In their own spheres, the two women espoused a direct and very practical approach to all things and soon Sonia was attending courses and meetings, always asking questions and eager to learn more. “I think I was practically a SPAB Scholar without actually being one,” said Sonia, who went on to host many parties of SPAB Scholars at her fascinating house. 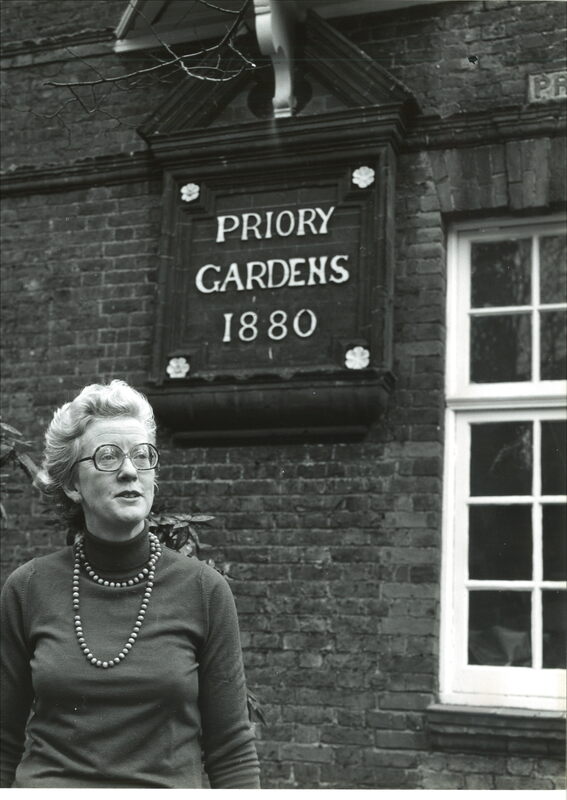 As a longstanding member of the SPAB Main Committee and also Chairman of SPAB’s Education Committee from 1991 to 2005, she continued to bring her practicality, inspiration, enthusiasm and wisdom to the charity. Her passionate commitment to both Scholarship and Fellowship programmes gave them an enviable impetus over many years. And it was this contribution that led to her being given the Society’s Esher Award. Her involvement with buildings was not restricted to her work for the SPAB. From 1985 to 2003 she was a member of Gloucester Diocesan Advisory Committee, offering incisive comments on a flow of applications for works to churches. She remained a stalwart of the Institution of Structural Engineers History Study Group, and with her friend Clayre Percy spent over 30 enjoyable years choosing the carefully selected libraries and furnishings to be found in Landmark Trust properties. She also worked with the National Trust, advising on repairs to old ships. 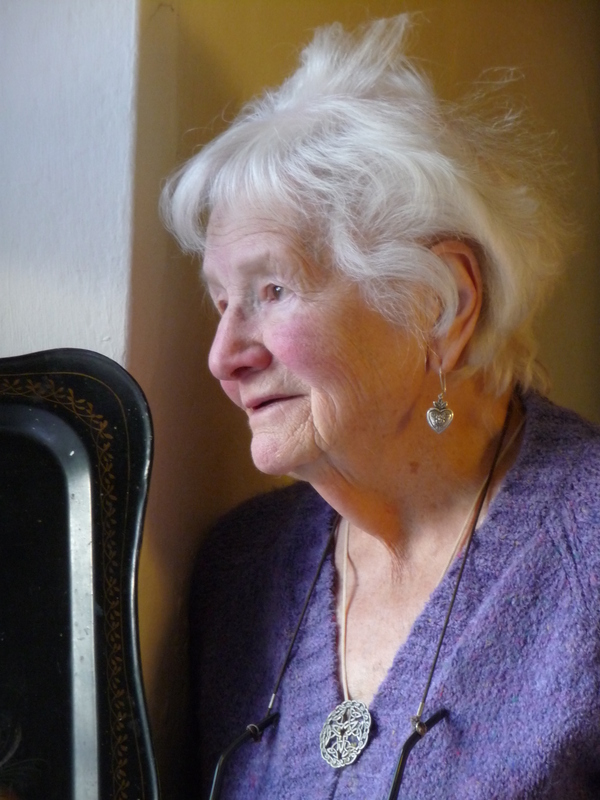 Sonia Rolt OBE died in October 2014 at the age of 95.